When it comes to production performance nothing will affect your end product more than the selection of the right fingerlings. When you buy your fingerlings it is important to know that you have the same size same age fish that can develop at the same rate in the same system. In short, it is largely impossible. But you can make your life much easier by understanding what it is that you are putting into your system to begin with. Of course all male fish is a vital first step. Secondly all male fish of roughly the same age and the same growth distribution will ensure that you have less work to do in making the fish grow out to your target size at harvest time. With all batches of fish within all populations you will get differential growths. By the time you get your fry at least 4 grades should have already been done, (beginning with the fish at egg stage). This gives you a clear picture of the nature of the beast you are attempting to grow. Well graded fry or fingerlings will give you far less sorting, much higher production rates and more consistency than fry or fingerlings that are not graded, sorted and culled. 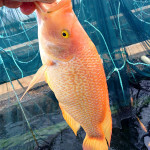 Fish that are too small or too large are undesirable – fish like these will either bully or kill smaller fish and smaller fish simply will never grow fast enough to make producing them worthwhile. 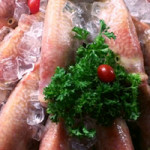 Nothing costs you more than a slow growing fish – they eat food, take up space and then cannot be sold. 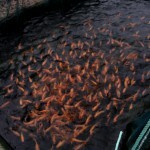 Of course as you grow your fish and move them through the system from pond to pond you will be doing your own grading. 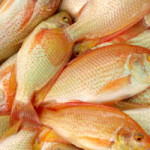 DO NOT KEEP small or slow growing fish in an attempt to recover the costs already sunk into them. Trust us on this – it is suicidal. Take them out and cull them – the sooner you do the better your production will be. With our fry and fingerlings these numbers should be limited thanks to the culling and grading of our fish that we do. 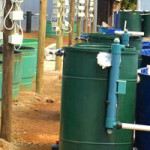 We follow the Til Aqua process in this regard because they are the world’s best and they produce the best end product. It makes sense to use their systems in the production of fry from their parent stock. We are often asked at what stage it makes sense to deploy one’s own hatchery. There are two scenarios here. The first is when there it is not possible to obtain fingerlings or fry. 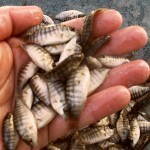 The second is when you are using in excess of 125000 fingerlings a month. It sounds like a lot, and it is, but the cost of setting up a hatchery is such that unfortunately these are the kind of numbers that are needed to ensure CONSISTENCY of production at a price that makes sense.